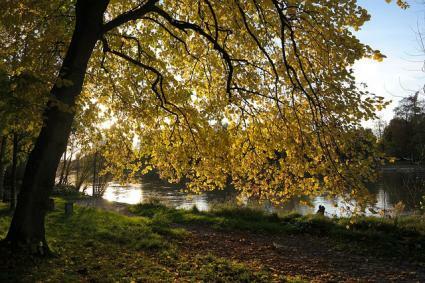 Linden trees, also known as basswood or, in Britain, lime trees, are large deciduous trees known for their attractive foliage and form. The nectar-rich flowers are prized for the honey that bees produce from them and the wood was used historically for building instruments and fine furniture. 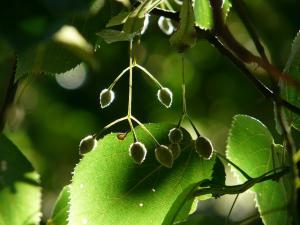 Growing slowly to 100 feet or more, the primary use of lindens among gardeners is as a shade tree. Their tiny white flowers are profuse in number, but fairly insignificant in appearance. The foliage, however, is quite stunning - large heart-shaped leaves that turn bright yellow in fall. Lindens are also known for having a well-groomed look, usually starting out with a pyramidal shape when young and developing a broad, symmetrical crown with age. Hot, southern climates are hard on lindens, but at the other end of the temperature spectrum, they can take extremely cold conditions. They are fairly adaptable to soil type (sandy or clayey is fine), but tend to prefer moist, slightly alkaline conditions. They are not adaptable to highly acidic soils and drought conditions will eventually catch up with linden trees if supplemental irrigation is not provided. In nature, they are commonly found growing near streams and rivers. 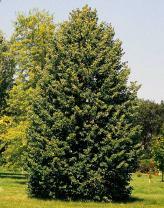 Fall is a great time to plant linden trees, as their roots will establish themselves before spring growth begins. They are slow-growing at first and even after 20 or 30 years they may still be less than 50 feet tall. Avoid planting near foundations, driveways, sidewalks or patios, as the roots may, after some time, damage these structures. However, they are considered a structurally sound shade tree and can be safely planted where their limbs will eventually overhang the house, unlike species that have brittle wood and are prone to dropping limbs in storms. Water linden trees deeply every few weeks for their first few years and whenever there has been a month or more with no rain in subsequent years. One of the best things you can do to support the establishment of a young linden tree is to maintain a three to four inch layer of mulch over the root zone to help conserve moisture and add organic matter to the soil. With such large leaves linden trees cover the blanket around themselves in fall, making for a big raking project - a great source of mulch for the garden, though. They also send up sprouts from the base of the trunk or from exposed roots that may need to be cut back periodically. The main pest associated with linden trees is aphids. Though not terribly detrimental to the health of the tree, aphids secrete a sugary substance that then combines with sooty, black mold to cover the ground - and everything else - below the trees. For this reason, it's best to plant them out in the lawn rather than hanging over a parking area or patio. 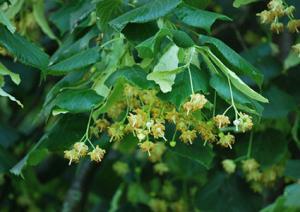 Several species of linden are commonly grown, each with slightly different physical characteristics. 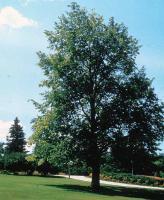 American linden (Tilia americana) has leaves up to eight inches in length. Redmond has a pyramidal form when mature and extra shiny leaves. Fastigiata is a tall narrow form with yellow flowers. 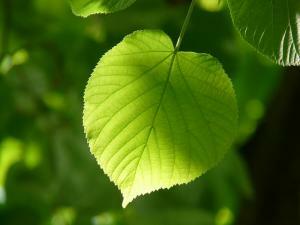 Little leaf lindens (Tilia cordata) are a European species with leaves up to four inches in length. Corzam is only 15 feet wide when mature and grows well in shade. Greenspire has smaller leaves than most other varieties and a straight symmetrical form. Silver linden (Tilia tomentosa) has silvery undersides on the leaves, making a dramatic appearance when they rustle in the wind. 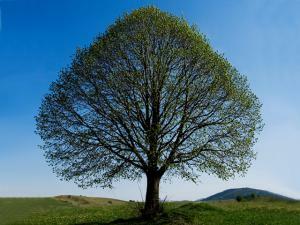 Linden trees are slow-growing, but can live for many centuries and develop an enormous old-growth trunk. 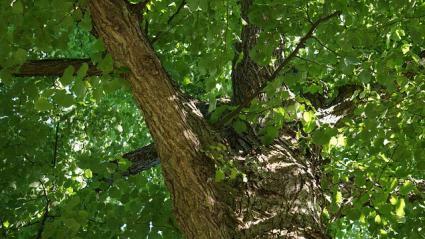 Planting a linden in your yard is an investment in the urban forests of the future.